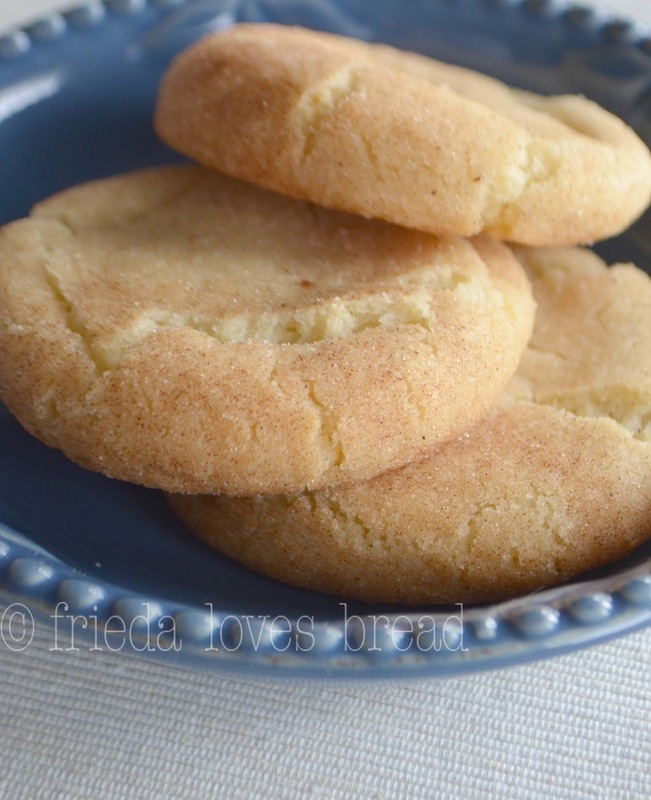 Frieda Loves Bread: Puffy & Soft Snickerdoodles! 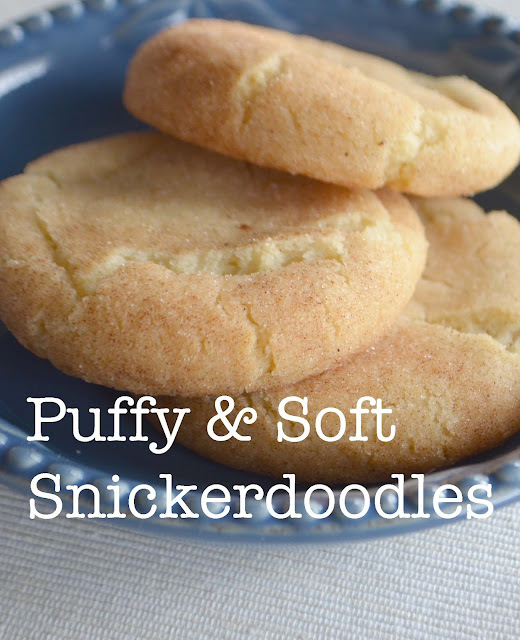 0 Puffy & Soft Snickerdoodles! Have you heard of a Snickerdoodle? It's a thin, buttery cookie that is covered in a sweet cinnamon sugar mix. I love making cookies for a dessert as they are FAST, portable and easy to eat. One day, a friend asked me how to make her snickerdoodles thicker. She wanted more of a cake-like texture to her cookie and I told her, "add more flour." 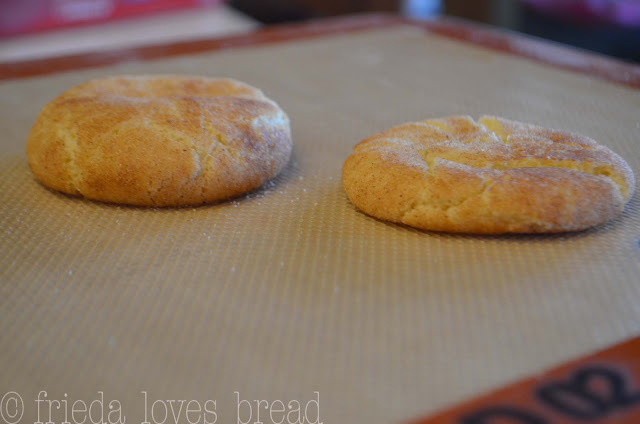 I tried it with our favorite Snickerdoodle recipe. Adding more flour will only make your cookies more dense and drier, not thick, soft and puffy. A quick search brought up this Soft & Thick Snickerdoodle recipe from Sally's Baking Addiction. She explains the science behind a softer cookie, and it NOT adding more flour! I chose to leave the cinnamon out and use salted butter. It's perfect. Let's take a look, shall we? 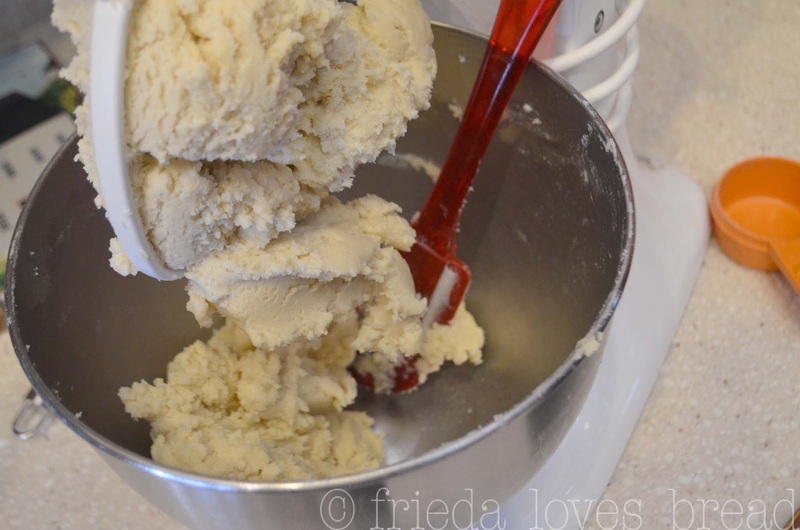 Using a stand mixer, blend your room temp butter, add the sugar and mix. Add your egg and vanilla. Next, add the dry ingredients: flour, cream of tartar and baking soda. THIS is the texture you want. Your dough is now ready to roll out! I like to use a 2T size cookie scoop. Makes every cookie the same size for even baking and...no fighting among kids for the largest cookie. 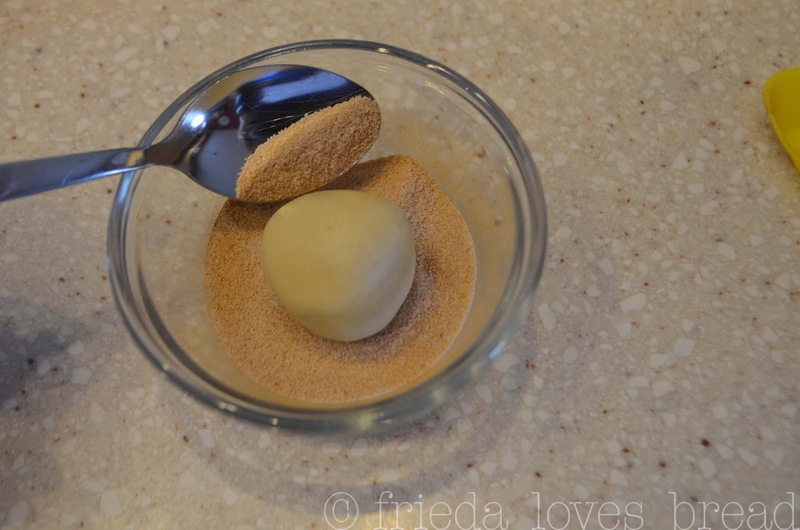 Roll the scooped ball of dough to make it smooth, and dip it in a bowl of cinnamon/sugar. Using a spoon to coat/stir it will help make it less messy. Space your sugar/cinnamon coated balls of cookie dough about 2 inches apart on a parchment or Silpat baking sheet. Bake for 11-12 minutes and cool for about 5 minutes on the cookie sheet. The cookie on the left is the Puffy recipe. The one on the right is my regular recipe. Excuse me while I grab a tall glass of milk. In a stand mixer with paddle, cream butter smooth. Add the sugar and mix completely. Mix in egg and vanilla. 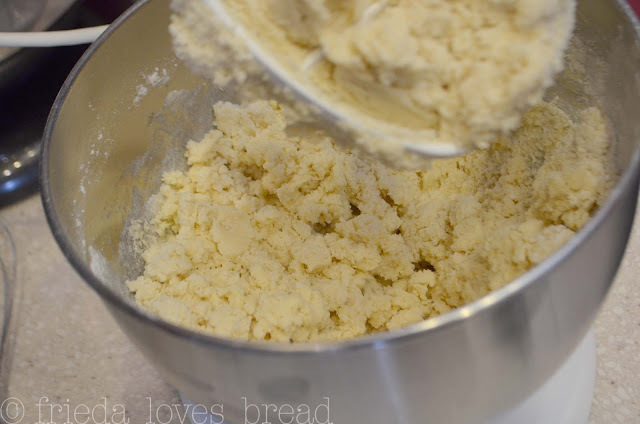 In a separate bowl, mix the dry ingredients: flour, cream of tartar, baking soda. Add to mixture a cupful at a time. Dough will be very thick. Using a 2T. 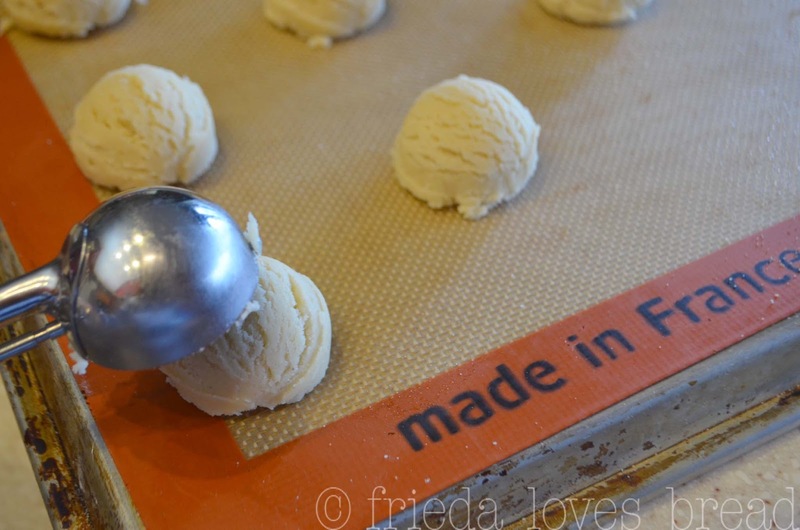 cookie scoop, measure and roll into a ball. 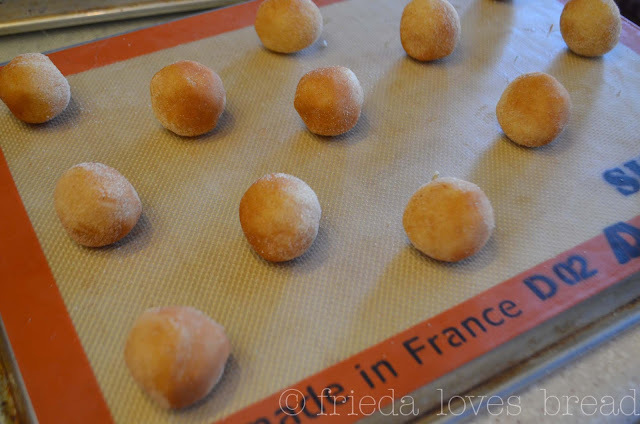 Roll balls into the cinnamon-sugar mixture. Put on parchment or Silpat lined baking sheet. Bake cookies at 375°F for 11-12 minutes. Let cookies cool on baking sheet for 5 min, then to cooling rack.